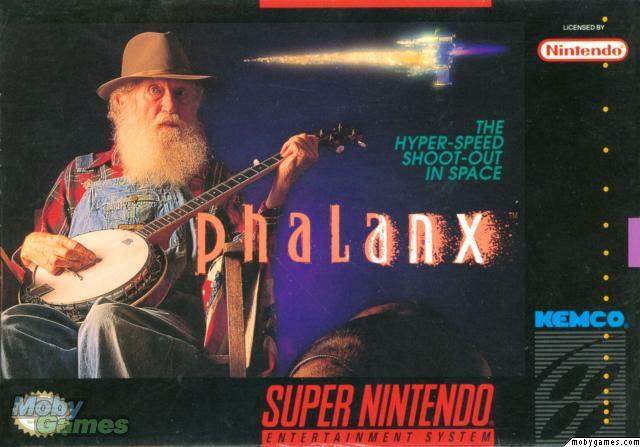 Most people remember Phalanx for its cover: an old man playing a banjo next to his dog while a spaceship flies by in the night sky overhead. What the banjo player and his hound had to do with a fairly typical space shooter has left laymen and scholars alike arguing for the past fourteen years. The hypothesis that most people work under: it was a clever ad campaign to get people talking about an otherwise unremarkable game. We’re still talking about it almost a decade and a half later, aren’t we?